We will process your request as soon as possible, and will contact you for an interview. that allows you to own your business with full-time support. M4 Burritos is the perfect combination of quick service and California-inspired cuisine. Our dynamic segment of the “fast casual” phenomenon brings together quality food, fast service and a unique atmosphere. Offering quick, fresh and tasty meals in a casual, urban setting. At M4, the freshness and quality of our ingredients are our priorities. Everything is cooked the same day on location to ensure maximum freshness in every bite. We never use freezers, fryers or microwave ovens. Trendy décor, California-inspired flavours, quick service and high-grade food all make M4 a one-of-a-kind experience where you’ll want to spend more than your lunch breaks! Nutrition conscious consumers are looking for something more than what fast food chains currently offer. Over the past few years, M4 Burritos has exceeded consumers’ expectations by offering fast, delicious and healthy meals at a reasonable price. It’s no wonder that our customers keep coming back for more! When you join the M4 Burritos team, you become part of a proven concept where product research and development, operations, hygiene and safety measures, as well as marketing strategies have been optimized and standardized. M4 Burritos is an opportunity to enjoy the perks of entrepreneurship, while benefiting from the daily support and experience of a larger company.  Establish a vast network of motivated franchisees, and become the benchmark for California-inspired quick-service restaurants. Our real estate experts will help you find the ideal location based on traffic, visibility, size and rental costs. Our development team will also work closely with you to build your business plan, fine-tune your financing application and streamline the design and construction of your restaurant. Our three-week training program focuses on restaurant operations and meal preparation. It begins at one of our corporate locations and ends at your own franchise. This training will allow you to acquire the tools you need to optimize your operational activities. Our team provides marketing support throughout the network, focusing on building brand awareness and communicating promotions and new product offerings to target consumers. We provide ongoing and personalized support as long as you continue to operate your restaurant. Our team will be happy to assist you with your operations, answer any questions you may have and provide judicious advice. We make becoming an M4 franchisee an easy and enjoyable experience. Offering a unique, youthful and trendy quick-service concept to a growing market. Fresh, healthy and quality ingredients. A wide selection of ingredients to please all of our customers. Eat quickly, eat healthy and at a reasonable price. 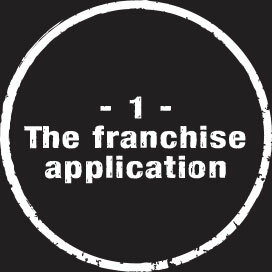 The simple process of completing a franchise application form and attending an interview with our development team will help you determine if this opportunity is right for you.  Shortly after receiving your application, our business development team will begin to guide you through the first steps towards owning your M4 Burritos franchise. The franchise agreement is a key tool in facilitating the transfer of knowledge and trademark usage. The terms of the relationship between both parties will be documented in writing through this agreement. 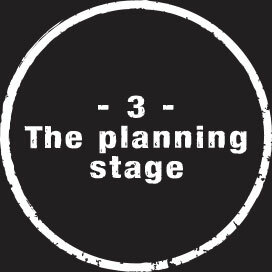 This stage consists of finding the right location, preparing your financing, building and design plans, establishing accounts, placing initial orders, as well as recruiting and training your personnel. This is the moment when all the planning and preparation pay off. 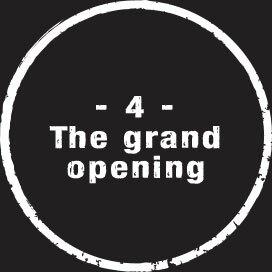 You will finally be able to serve your customers and allow them to discover all that M4 Burritos has to offer. During the first week of operations, our training team will guide and assist you, providing all the support you need to make your launch a success. 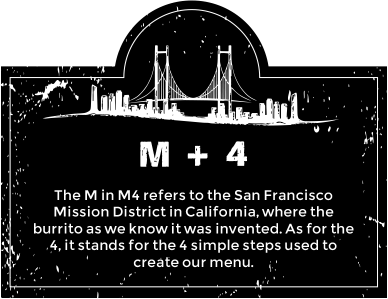 Welcome to M4 Burritos!